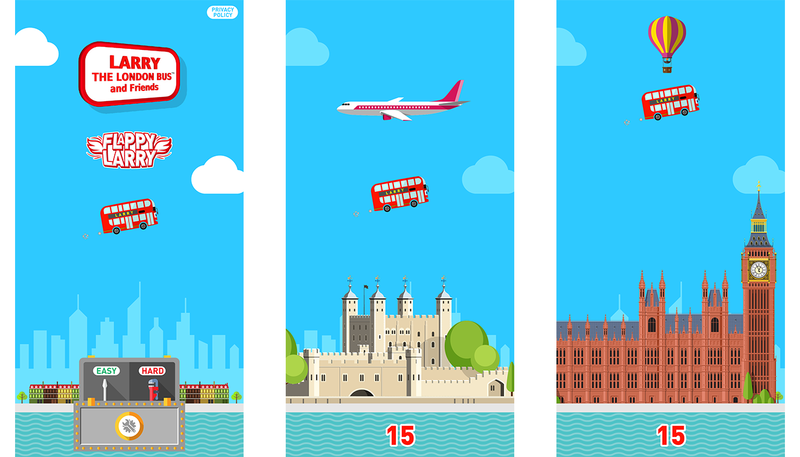 These illustrations are for “Flappy Larry”, a mobile game along Flappy Bird lines where Larry the London Bus (improbably) leaps over famous London landmarks. It was developed using the Unity game engine and I worked in collaboration with Rob in Ireland who wrote the code to make my graphics do their stuff. 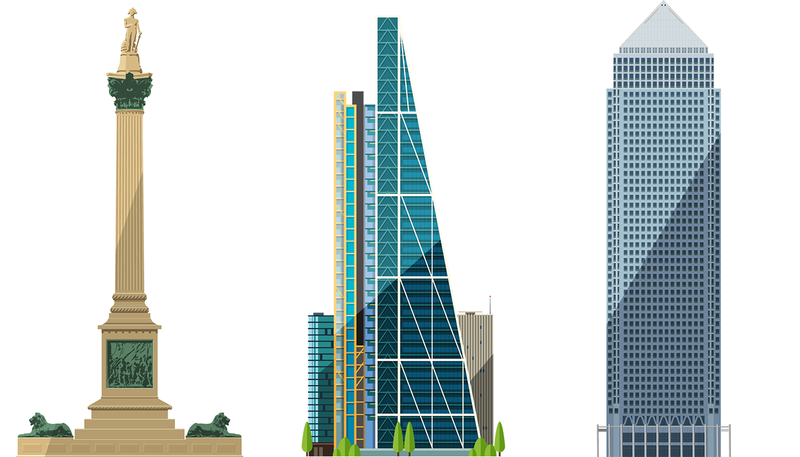 The illustrations are fairly accurate to the buildings they represent. 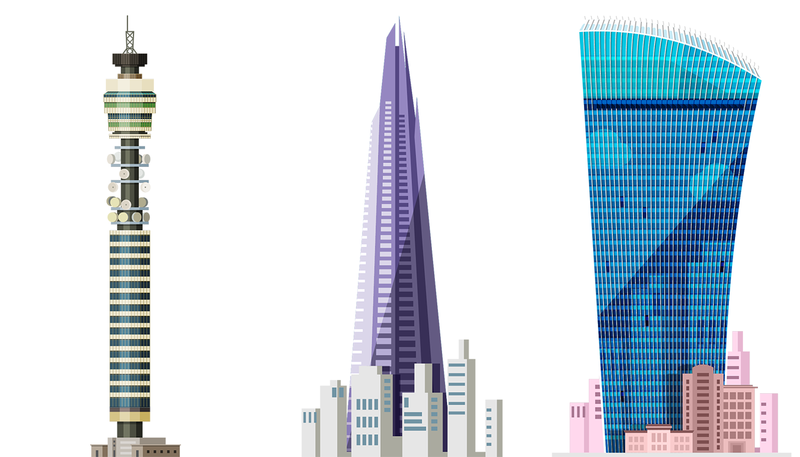 I usually worked off a high res photo, or architectural drawing when I could find it, modifying the perspective but keeping as much of the detail as was feasible. 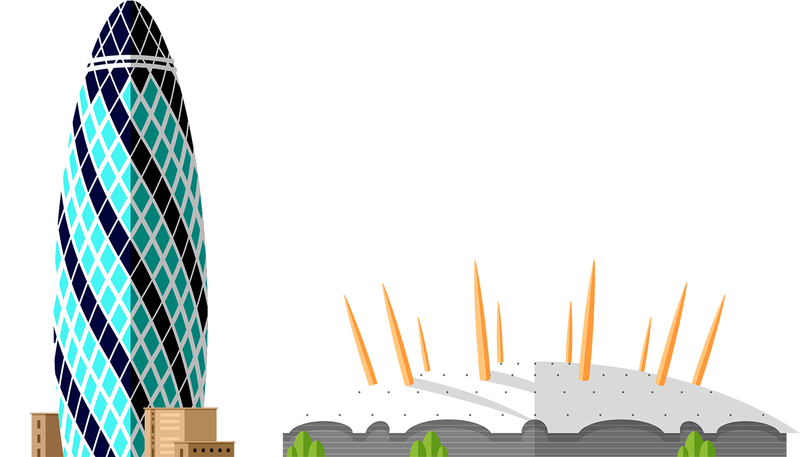 Victorian architecture was a challenge… so many twiddly bits. Larry the London Bus consists of videos, books and games about a group of London Transport characters aimed at younger children. Watch out for it, it’s gonna be big.